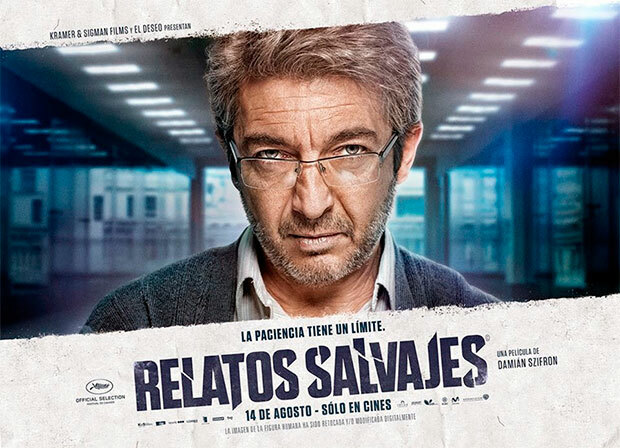 Director Damián Szifron’s last film Relatos salvajes (Wild Tales, 2014) has just arrived at Spanish billboards. After a successful trajectory at the Argentine box-office – where it has already been watched by more than two million people – this grim black-comedy has been selected as the entry for the Best Foreign Language Film at the 87th Academy Awards, to be held in February 2015. Despite its episodic structure, the six segments the film is composed of share such touchy and common topics as the dark and eerie motifs that lead the human mind to seek for vengeance, and the thin line that distinguishes it from justice. The most quick-witted spectators should be able to identify some references to celebrated American films such as Duel (Steven Spielberg, 1971) and Falling Down (Joel Schumacher, 1993). The film also goes deep into the consequences of madness, human greed, the usage of violence to solve problems, and jealousy. The characters (played by famous Argentine actors) cross the line between civility and brutality too easily. Szifron reaches high levels of narrative quality partly due to the audacious use of the mise-en scene and the soundtrack, both of which help to reinforce the obscure atmosphere surrounding the whole film. The segment entitled “Bombita” (Little Bomb) perfectly embodies the spirit and aim of the whole film. Starring Ricardo Darín, it deals with the story of an explosives expert whose life changes dramatically after getting a traffic fine. We are shown an ordinary citizen’s helplessness at tackling the intricate bureaucracy of corrupt states. As I mentioned before, the film is full of atrocious moments including plane crashes, physical aggression verbal violence and murder. It doesn’t seem strange that it has been labelled as a black comedy. Far from providing moral answers, we are invited to reflect on the essence of human nature.